I am delighted announce both the winner of the April monthly newsletter giveaway and the prize up for grabs in the May giveaway! So firstly many congratulations to Carol the winner of our April giveaway duo of great crime mysteries – Murder at the Mill by MB Shaw and The Devil’s Claw by Lara Dearman with signed book plates AND exclusive interviews! For our May giveaway the prize is a great book which we would have loved to have included in our boxes if only they were bigger! Choosing just three books for each box is soooo difficult! 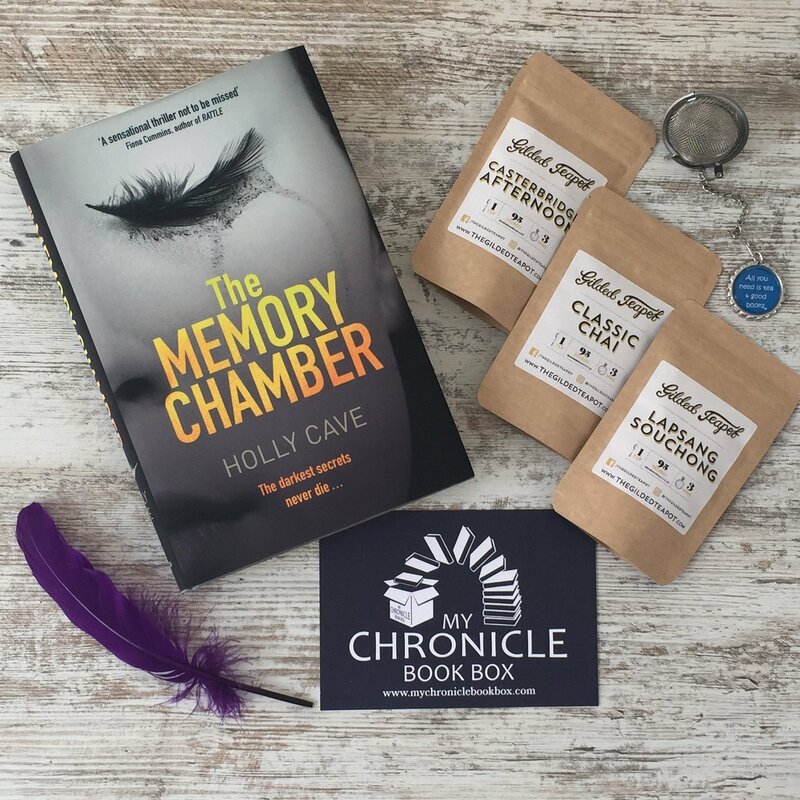 We have paired The Memory Chamber by Holly Cave with some wonderful loose leaf tea from The Gilded Teapot and a tea ball infuser made exclusively for My Chronicle Book Box. To be in with a chance of winning this great prize simply sign up to our newsletter by 20 May 2018.